An entrepreneur has to perform many roles. A businessman has to handle sales, marketing, branding, Bookkeeping, SEO and what not. 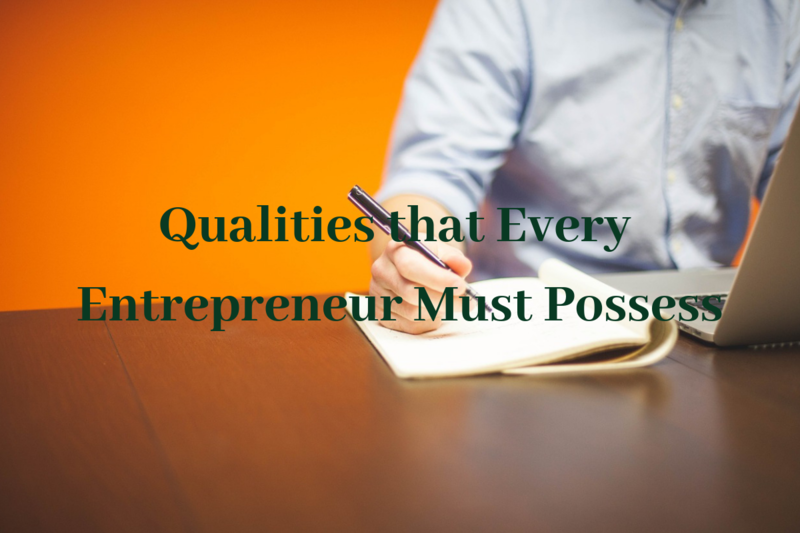 To carry out all these roles with subtlety and efficiency, an entrepreneur must possess some qualities which are key to build a successful venture. As the business progresses, there comes many ups and downs on the way. An entrepreneur need to be able to recover through these situations and keep moving forward. A businessman must have well-defined goals set for his venture and a clear mission. He should motivate his employees to do better by remaining optimistic. An entrepreneur must stay focused towards his goals irrespective of any positive and negative outcomes that he may face during his journey. Every business needs some kind of sales be it a product, an idea or a service. The main target is to reach out to the customers and investors. Therefore, every businessman must possess sales and marketing abilities. Running a business requires handling multiple things altogether. An entrepreneur must therefore manage his time very efficiently. They must dedicate time for each and every thing be it financial modeling, building investor plans or preparing a white paper. An entrepreneur must keep his mind open to learning. He must not only focus on learning things which are relevant to his business but must always look forward to enhancing his skill set by acquiring knowledge whenever he finds an opportunity. A businessman must thrive to become the best in order to earn maximum profits out of his business. Setting up and running a business venture is not an easy task and requires a lot of things to be managed single-handedly. An entrepreneur must be determined to conquer all the challenges that come his way. He must be well equipped with the relevant skill-set to efficiently run his enterprise. A businessman has to be a jack-of-all-trades in order to become the master of his chosen field.